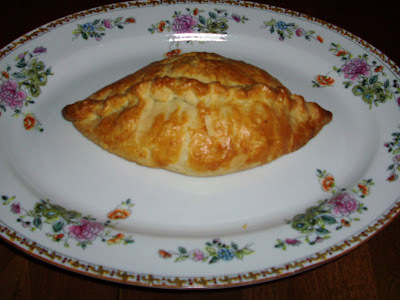 I will not formally transcribe my recipe and method for making pasties, because I never use measurements. I can tell you, however, that they are made with a short crust containing both butter and lard, water, a teaspoon of malt vinegar, and unbleached, plain white flour. Since salted butter is used in the dough, add just a dash of salt to it. I add sea-salt and hand-milled pepper to the filling, which consists of four ingredients, diced very finely: tri-tip steak, which is always well-marbled and never tough; ordinary, high-starch brown-skinned potatoes, turnips, butter bits, and white or Spanish onions. The finely-diced beef and vegetables are tossed together in a mixing bowl with the salt and pepper before being laid upon the dough, dotted with butter and enclosed. 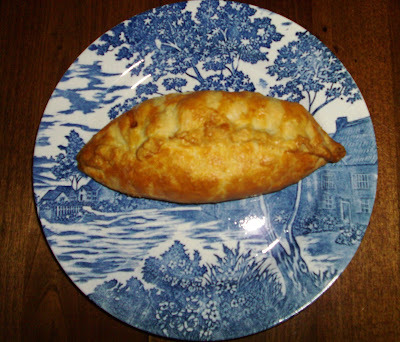 The edges are crimped, either on top or on the side of the pasty, and a couple of well-placed slits are made in the top to allow steam to escape. The final product is brushed with a beaten egg mixed with a teaspoon of cream. The pasties are then baked in a very hot oven for close to one hour. Once the pasties have cooled for about twenty minutes, serve with an oil-and-vinegar-dressed lettuce salad. Offer Cornish cream, Spanish or Mexican Crema, or sour cream as an optional condiment. 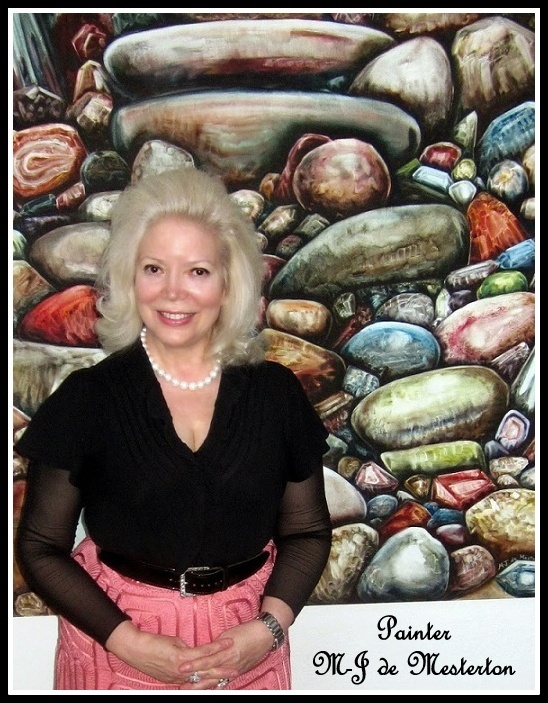 The pasties depicted here, which I made, are the optimum size for a meal; the dough for them was shaped into a ball about half the size of a woman’s closed hand, then was rolled out and cut around a 7″ luncheon plate. Making giant pasties just isn’t elegant, nor is it traditionally Cornish. I also make miniature pasties for parties, by using a tin can or the bottom, inner ridge of the same luncheon plate as a cutting guide. These mini-pasties are easily eaten by hand with a cocktail napkin to catch any pastry-flakes. For a basic short-crust guide, please see my Elegant Apple Pie recipe. Reason.tv: Home of the Drew Carey Project and other libertarian videos.